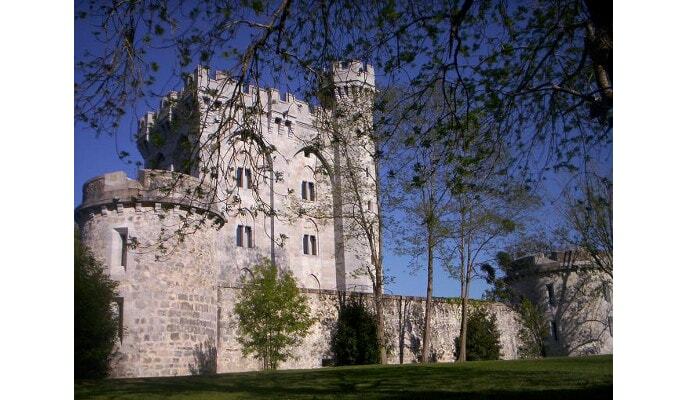 The castle is located in a fertile part of the Urdaibai river estuary, not far from the historic town of Guernica. Unlike Spanish castles built for defense, it is not in an elevated position but on a plain or meadow, surrounded by trees and other vegetation. In this respect it resembles Fontainebleau Castle and other French royal residences. The property has been converted into an upscale hotel with 13 rooms and one suite.